Stress in the 21st century is one of the main factors that puts the immune system into a state of illness. This has led to an increase in dread disease occurrence. It has become a standard practice to teach cancer and heart patients stress managing techniques. Thanks to medical advances though, you can survive these major dread diseases. We warn you: surviving a dread disease and living with it – the treatments – is going to be a far greater financial drain on you than were you to just simply die from the illness. Today, people all over the world are turning to dread disease and disability insurance. While at first the policies would cover you against stroke, cancer and heart disease, today they offer financial protection against other diseases. Some of these are paraplegia, brain damage, Alzheimers disease and Parkinson’s disease among others. A dread disease puts a strain on anyone’s finances. This is why dread disease and disability insurance is so important. There is a huge increase in the incidence of these ailments, particularly cancer. Claims for critical illnesses like this are increasing. It has been suggested by the product manager of Old Mutual’s Greenlight risk cover that obesity and type-two diabetes will lead to an increase in claims against severe illness cover. The idea is to have sufficient medical scheme cover as well as lump-sum disability assurance. 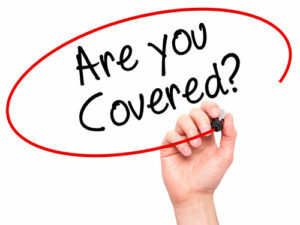 Medical scheme cover, disability or severe illness cover serve different needs. A medical scheme may well cover you for the medical expenses connected to your illness. However, but they may not meet all your medical needs and then dread disease cover may make up the shortfall. Unfortunately many people think that their medical schemes will provide for all their health-related expenses. But this isn’t true. Even the more comprehensive medical schemes don’t cover everything. The costs connected with a dread disease can be massive. For instance, the costs of a severe stroke can add up to R1 million and more. When you look at rehabilitation and chronic medication costs it is even more. Your medical scheme is likely to exclude certain treatments, they may not cover them adequately or you may even have reached your annual limit. Some people think that gap cover will help but there are some gap cover products which exclude some dread diseases such as cancer. Also, there are other expenses which aren’t covered by medical schemes. With a dread disease, the costs of travel and accommodation to have treatments far from home are not covered with a medical aid plan. Stroke, cancer, coronary artery bypass and heart attack account for as much as 90% of all dread disease claims in South Africa and also internationally. But what happens if you contract an illness that is not covered? Dread disease insurance also known as critical illness was the invention of Dr Marius Barnard. Research your policies thoroughly because whichever policy you choose will state which illnesses are covered and how severe they need to be in order for it to pay out. Nearly all the policies cover stroke, cancer and heart attack. Sanlam and Old Mutual for instance, offer policies that pay out 100% of the assured amount regardless of severity. Sanlam offers partial payments for some less severe illnesses. Greenlight’s flagship product pays 100% cover for heart attacks, stroke and cancer and 30% for minor conditions. With pre-existing medical conditions, some policies will cover you, while others won’t. You can buy dread disease cover as a stand-alone benefit, or as an accelerated rider on a life assurance policy which is cheaper than the stand-alone cover. Serious illnesses are a reality, and your medical aid may not pay for it the way you believe. Find out about dread disease cover because nothing is as important as our health.